Hi, I am Siyuan Chen. Welcome to my blog. I’m trying to write my first blog with Markdown 1 and StackEdit 2. I hope those ‘handy’ tools will working well. In this blog, I will write something about my work and life. This is an active way to improve my writing skills. You are very welcome to point out the mistakes in this blog to help me improve my English. Right now, I am a Ph.D. student at University College Dublin (UCD), Ireland. I got my Master degree from U.S. in Mechanical and Aerospace. And my Bachelor degree from China in Mechanical Engineering. My hometown Yueyang is a small city in the central of China. It is a ‘small’ city with 5.4 million people 3. Yes, I double checked the number. 5.4 million, even more than the people in Ireland( 4.6 million 4), is the size of a ‘small’ city in China. The most famous attraction in our city is the Yueyang Tower. 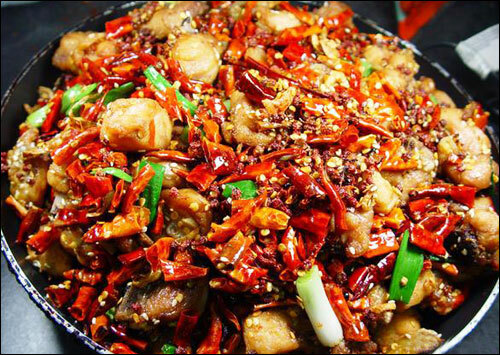 We are also famous for our spicy food, Hunan Cuisine. I like fishing, cooking, and cycling. Of course, as a Chinese, I also like to play PingPang (Table tennis). In UCD, I joined the Rifle Club and got my first gold medal in the novice group. The name of Project ESR 14 is Reduction of uncertainty through regularized, automated road inspection. Put simply, we are trying to use unmanned aerial vehicles (UAVs) 7 in road inspection. Compared to conventional inspection method, using UAVs for road inspection could be cheaper, safer and more efficient. There are several research topics we will focus on. YueyangTower was built more than 1,700 years ago during the Three Kingdoms Period, near the strategic location where Dongting Lake joins the Yangtze River, from which the whole of Dongting was visible.